27 Brasileiros inscritos no Campeonato de Negociação Automatizada. On September 21, 2012 at 23:59 registration for participation in the Automated Trading Championship 2012 was finished. Some participants were looking forward to this moment, while others were saddened as they have not managed to polish their trading robots. Expert Advisors are not accepted anymore and the EA automated verification system is stopped. Now it is impossible to apply for participation in the Championship. During the remaining days until the start of the contest the Expert Advisors and personal details will be checked manually. The multiple registrations facts will be revised as well. Applications for participation in the Championship were accepted for almost 4 months. More than 3,670 applicants have registered on the website for that period exceeding the previous year’s results by half. The real burst of activity has been detected during the Registration’s last week (despite multiple notifications and emails asking not to wait for the last moment). From September 17 to 21 the number of Expert Advisors submitted to the Championship has grown from 433 to 724, that is almost by 300. And half of these experts have been sent in the last day of September 21. As a result, all such competitors have left no chance for themselves to correct detected errors and now are hopelessly writing requests to the Championship organizers. Alas, you’ve missed the train. As a result, personal data of 2,221 applicants (out of 3,670) has been approved. 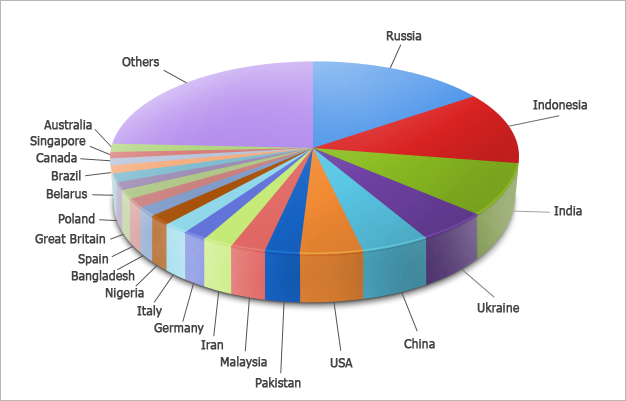 It is 62% of the total number of applications. Only 724 applicants have attached their Expert Advisors and 483 of them have passed automatic verifications at the moment. 469 participants have passed both stages of testing. Therefore, only 13% from the initial number of potential participants will most probably test their trading robots in the competition. But still there are manual tests to be performed, and by the actual start of the Championship the number of participants may change in either direction. All other applicants were not allowed to participate for a number of reasons. 14 Expert Advisors have successfully passed automatic verifications, but their authors’ personal details were not approved. Perhaps, manual verification will give a chance to some of them to participate. 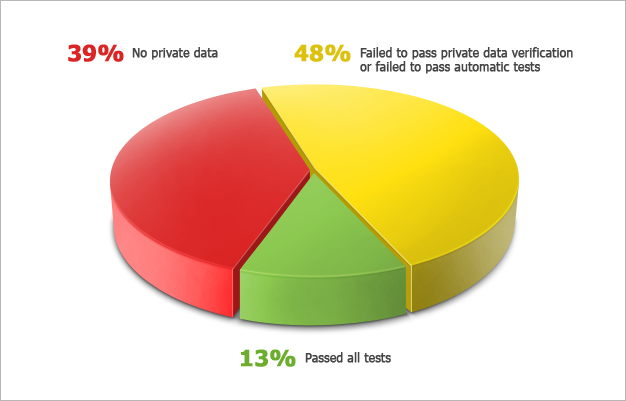 The most numerous group (1,755 applications or 48%) comprises of those who have failed to pass verification of personal data or whose Expert Advisors have failed to pass automatic tests. 1,449 applicants (39%) did not fill in their personal data. 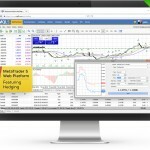 Automated Trading Championship 2012 with $80,000 of prize money will start in less than a week. Soon we will find out whose trading robots will take part in the Championship!